Who do I love? Let me count the ways. Let me count some of the artists. All of them are old school moderns, minimalists, post-minimalists and post-moderns. All have passed or are rapidly aging: Jasper Johns, Brice Marden, Robert Motherwell, Helen Frankenthaler, but foremost would need to be Richard Serra. I have often questioned whether I am a Serra copyist or whether I am covering uncovered ground in a Serra-like fashion of my own invention. 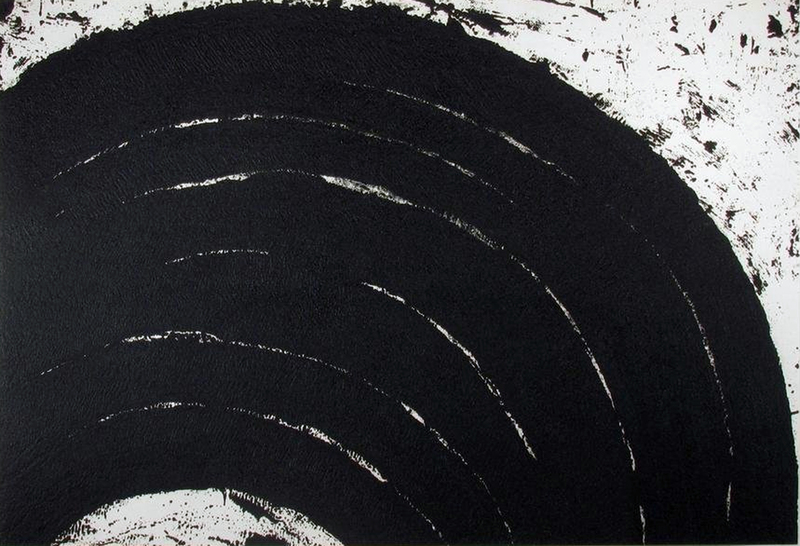 I love the large dark forms of Serra, in his sculptures, his paintings, drawings and printwork. As a true disciple I have been in front of his work as often as possible, including holding his printwork in my hands on several occasions. My work differs from Serra in that my points of reference are always minimalist reductions of forms I see in the landscape. Familiar forms from Utah or from places I travel. 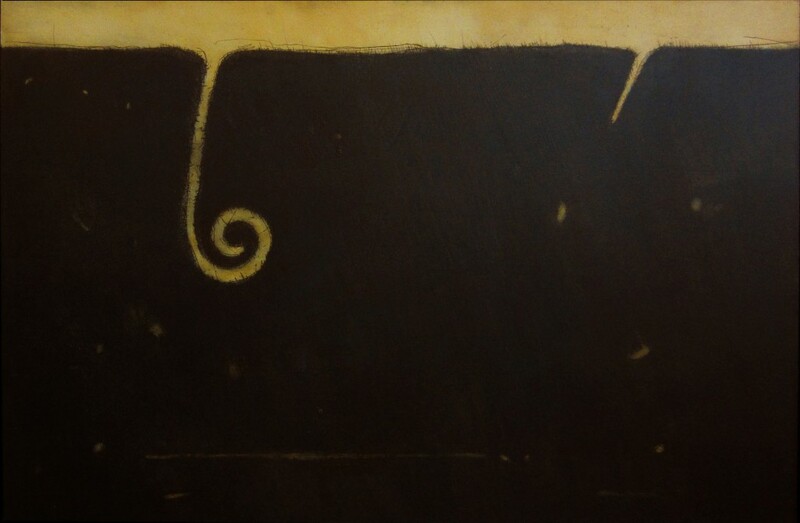 The reductive process often obscures the true origin of the place but it is always about that place and my silent memory of the time and space when I stood imagining how I would reinterpret the forms. My work process is slow and labored, almost geologic. I love the considered monotony of repetitious hand work. I love the accident that my labor becomes as the work turns into something more than and other than I had imagined. This is something I attribute to the influences of my print mentor and friend, Bob Kleinschmidt. I am born and raised in Utah. I returned to art in my mid-30s, in 1990. I received my BFA in printmaking from the University of Utah in 1995. In 2000 I began my studio career at Guthrie Studios. I am now located at Poor Yorick Studios. I have a full print shop but I am now doing what I would call hybrid paintings employing print mark making techniques. I work primarily on aluminum panels or hardboard panels. Can’t give any sort of objective opinion (well, who can, really?) about this artist–I love Paul Vincent Bernard, my sweet nephew.